“It’s all about you and the results. My primary objective is to provide the highest level of customer service and to help all my clients meet their real estate goals,” Shirley explains. 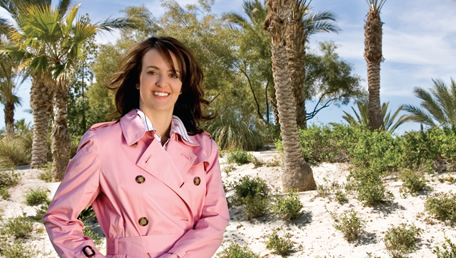 With more than 23 years living in Las Vegas, Shirley has watched Las Vegas become the thriving, entertainment city, yet still maintains its natural beauty and hometown warmth. Shirley continues to lead the real estate industry with the highest ethical standards and uncompromising morals. She specializes in retirement, residential, investment and high rise properties. Also, Shirley provides superior levels of service and cutting-edge marketing tools that give her clients worldwide marketing exposure, including complimentary staging, notary and professional photography. In her words, “some things never change … truth, honesty, integrity, hard work and knowing that my clients’ best interests always come first.” Although Shirley stays extremely busy with her clients, she finds it very important to serve the community and is involved in many local non profit organizations, such as; United Way, Boys Hope/Girls Hope, Nevada Cancer Institute and many more. Overall, she can’t imagine doing anything else, “real estate is my passion,” she expresses.